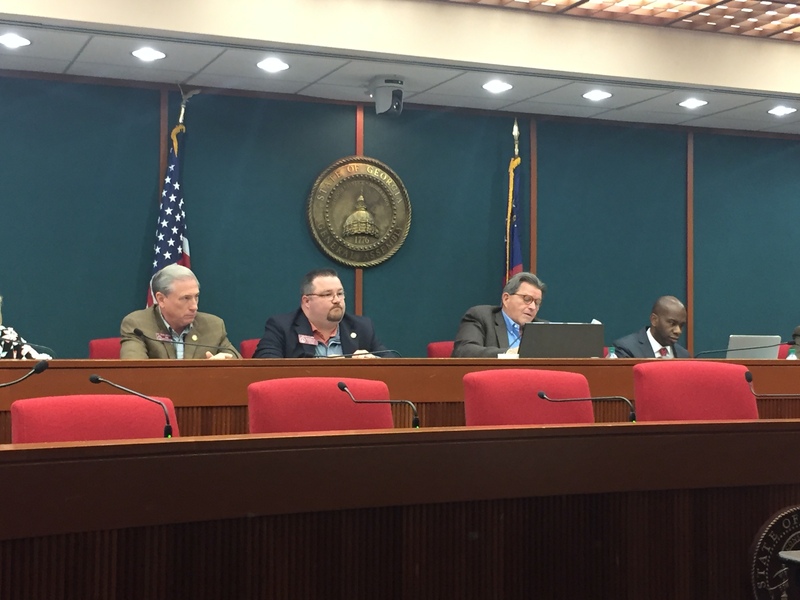 With a Republican’s warning that “this is not Nazi Germany,” Senate Bill 452, a commonsense public safety bill aimed at the crime of illegal immigration and “sanctuary city” policies was gutted in the Georgia House last week. The evisceration was carried out at the subcommittee level by the Vice Chairman of the House Public Safety and Homeland Security Committee, Republican state Rep. Heath Clark (Warner Robins), and should be glaring indicator of the necessity of careful vetting of “conservative” candidates for the General Assembly. It also illustrates the need for live broadcast and video archives of subcommittee activity under the Gold Dome. During consideration of the bill last week in full committee, in a large hearing room packed with the same people who scream in American streets against immigration enforcement, this writer watched in amazement as Clark proudly rattled off a list of very drastic anti-enforcement changes to the bill his subcommittee had made. As he spoke, I also watched as the anti-enforcement crowd nodded and exchanged happy looks of satisfaction at the results of their lobbying efforts. Clark began listing his changes by announcing that he had taken out the bill’s requirement for Georgia law enforcement to take any action authorized by state and federal law, including notifying prosecuting attorneys of a suspect’s illegal status, detaining a suspected illegal alien, transporting a suspect to any authorized federal or state detention facility, or even notifying federal immigration authorities that an illegal alien was in custody. Wording that says police “may” do any of the above better suited Clark’s sensitivities. “In section one we did change a ‘shall’ back to a ‘may’, there was some concerns within the business community with international companies, the CEO or somebody might be here with a foreign driver’s license and if they were pulled over for some reason, and they didn’t have their visa on them, you know most people don’t carry that around on them on a permanent basis because they don’t want to lose it because it’s a pain to get another one” Clark told the room. The illegal aliens and their handlers in the room squirmed with smirking delight. Clark never batted an eye at the legal reality – and the committee approved his dilution. Later, when a second effort to keep the stronger language was made, Clark warned that the requirement would have “unintended consequences”: “Just want the committee member to know about be aware, um, that there would be some unintended consequences, I get the reasoning but there would be some unintended consequences, um, regarding international businesses that we have a lot of in this state. When their CEO’s that are here, um, it would have some negative effects there, potentially. So unintended consequences, I understand the reasoning, but I think there’s some potential unintended consequences that we need to leave it as a “may”. Here is a good place to remind readers again that SB 452 is about illegal aliens who are suspects in or convicted of other crimes. And that Georgia contains more illegal aliens than Arizona. Clark – and eventually the majority of the committee – also weakened senate language that required a Georgia sentencing court to notify federal authorities if an illegal alien has been convicted of any crime in Georgia – felony, misdemeanor, or ordinance violation. Clark and the committee decided that waiting until an illegal alien committed a felony was the way to go on notifying the feds. A hero of the day was state Rep. Jesse Petrea who fought Clark on these changes and to reinstate language Petrea had added to the original bill to require the state Department of Corrections to make public a quarterly report tracking the number of non-citizens and separately, illegal aliens, in state custody so that Georgians can begin to get an idea of the cost of state non-citizen incarceration. Over Clark’s objections, the committee put Petrea’s DOC reporting language back into the bill. SB 452 is a centerpiece of Lt. Casey Cagle’s gubernatorial campaign. Word around campus is that the senate will not agree to Clark’s watered down version of the bill. It will be quite instructive to see who wins on immigration enforcement in an election year in a GOP-ruled state. We hope it is the citizens of Georgia. Note, see a short video of Rep Clark’s presentation here . Video of the entire four-hour House hearing on SB452 here.